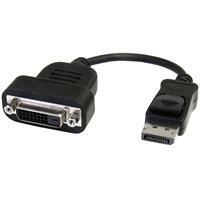 The DP2DVIS DisplayPort to DVI Active Single Link adapter lets you connect your DisplayPort video source (desktop PC, laptop, etc.) to a DVI-D monitor, projector or display, including televisions and Apple Cinema Display HD, eliminating the expense of having to upgrade to a DisplayPort-capable monitor. 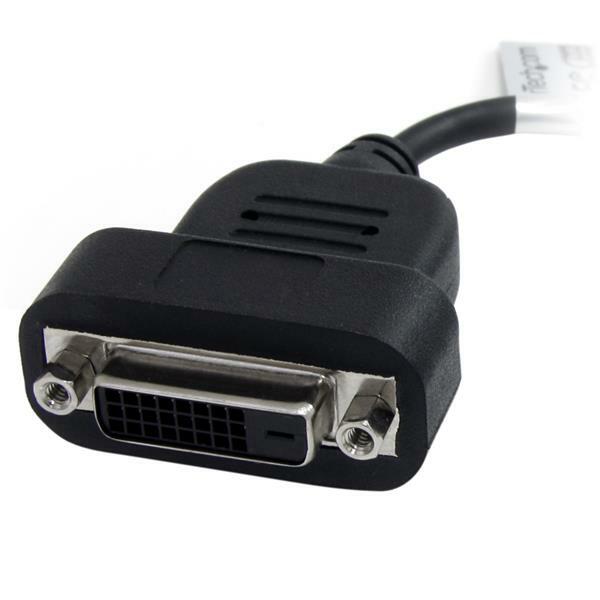 Unlike passive adapters, this DP to DVI converter offers an active conversion for use with any DisplayPort output - ideal for graphics cards that are not capable of outputting multi-mode DP++ signals (e.g. ATI Eyefinity). Supporting resolutions up to 1920x1200, this compact device provides a simple solution for converting DisplayPort output for compatibility with existing DVI monitors, televisions or projectors.